I was born in Argentina and did my postgraduate strudies in the UK. 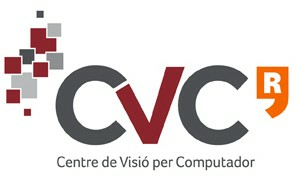 Currently, I work as 'Ramon y Cajal Fellow' at the Colour Group of the Computer Vision Center (Universitat Autònoma de Barcelona). I have many research interests, mainly in the interfase between human perception and computer vision. Towards a Psychophysical Evaluation of Colour Constancy Algorithms. Vazquez, J., Vanrell M., Baldrich R. and Párraga C. A. (2008) CGIV 2008 / MCS/08 - 4th European Conference on Colour in Graphics, Imaging, and Vision 10th International Symposium on Multispectral Colour Science, Terrassa – Barcelona, España, Society for Imaging Science and Technology. Modelling Inter-Colour Regions of Colour Naming Space. Párraga C. A., Benavente R., Vanrell M. and Baldrich, R.
Multiresolution wavelet framework models brightness induction effects. Otazu, X., Vanrell, M. and Párraga, C.A. (2008) Vision Research, 48, 733–751. Use of a vision model to quantify the significance of factors effecting target conspicuity. Gilmore, M.A., Jones, C.K., Haynes, A.W.,Tolhurst, D.J., To, M., Troscianko, T., Lovell, P.G., Párraga, C.A. & Pickavance, K.
(2006) Proceedings of the SPIE – Targets and Backgrounds XII, 6239, 62390R. doi: 10.1117/12.673796. Using digital photography to study animal coloration. Stevens, M. Párraga, C. A., Cuthill, I. C. Partridge, J. C., Troscianko, T. S.
(2006) Biological Journal of the Linnean Society, 90, 11–237. Evaluation of a Multiscale Color Model for Visual Difference Prediction. Lovell, P. G., Párraga, C. A., Troscianko, T., Ripamonti, C, Tolhurst, D.J. 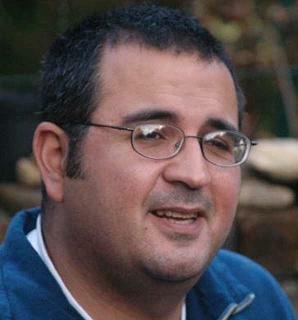 (2006) ACM Transactions on Applied Perception 3(3), 155–178. The effects of amplitude-spectrum statistics on foveal and peripheral discrimination of changes in natural images, and a multi-resolution model. Párraga, C. A., Troscianko, T., & Tolhurst, D. J. (2005) Vision Research, 45, 3145-3168. Stability of the color-opponent signals under changes of illuminant in natural scenes. Lovell, P. G., Tolhurst, D. J., Párraga, C. A., Baddeley, R., Leonards, U., Troscianko, J. (2005) Journal of the Optical Society of America A, 22(10), 2060-2071. A multiresolution color model for visual difference prediction. Tolhurst, D.J., Párraga, C.A., Lovell, P.G., Ripamonti, C., Troscianko, T.
(2005) ACM International Conference Proceeding Series, Vol.95, 135 - 138. A multiresolution colour model for visual difference prediction. Tolhurst, D. J., Párraga, C. A., Lovell, P. G., Ripamonti, C., & Troscianko, T.
(2005) 2nd Symposium on Applied Perception in Graphics and Visualization, A Coruña, Spain. Disruptive coloration and background pattern matching. Cuthill, I. C., Stevens, M., Sheppard, J., Maddocks, T., Párraga, C. A., & Troscianko, T.
CRT computer monitors and 100 Hz fluorescent lights provoke myoclonus in European starlings (Sturnus Vulgaris). Smith, E. L., Evans, J. E., & Párraga, C. A. (2005) Veterinary Record, 157, 148-150. Spatiochromatic Properties of Natural Images and Human Vision. (2002) Current Biology, 12(6), 483-487. The effect of contrast randomisation on the discrimination of changes in the slopes of the amplitude spectra of natural scenes. Párraga, C. A., & Tolhurst, D. J. The human visual system is optimised for processing the spatial information in natural visual images. (2000) Current Biology, 10(1), 35-38. Color and luminance information in natural scenes. Parraga, C. A., Brelstaff, G., Troscianko, T., & Moorhead, I. R.
(1998) Journal of the Optical Society of America A, 15(3), 563-569. Hyperspectral camera system: acquisition and analysis. Brelstaff, G. J., Párraga, C. A., Troscianko, T., & Carr, D.
(1995) SPIE - Human vision, visual processing and digital displays. Geographic information systems, photogrammetry, and geological/geophysical remote sensing, Paris.